Atsu receives inspirational award – Whether you rate him or not, this is brilliant.. – NUFC blog – Newcastle United blog – NUFC Fixtures, News and Forum. 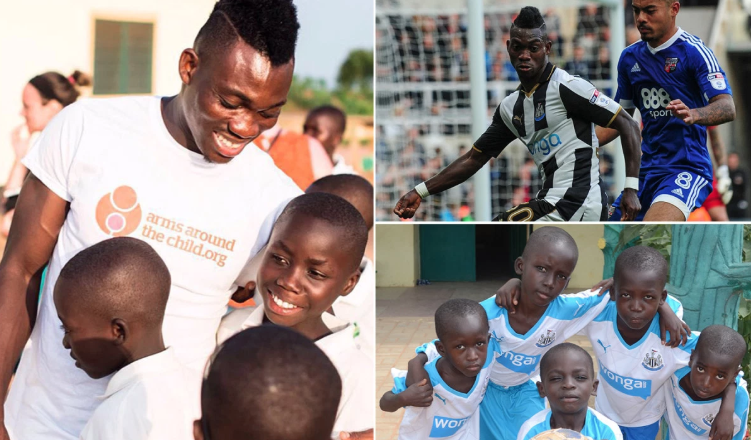 Atsu receives inspirational award – Whether you rate him or not, this is brilliant..
Newcastle United’s Christian Atsu has won the Cyrille Regis Players Award following his brilliant charity work helping individuals, orphanages and schools back in his native Ghana. The award celebrates the work done by black players around the globe, rewarding the likes of Atsu for being such role models in the football industry. “I feel very honoured to receive this Cyrille Regis Players Award from the Football BlackList for my work with Arms Around The Child. No matter what you may think of Atsu as a footballer on the pitch, his work off the field is inspirational. Hats off to him. There’s so much negative press about modern footballers in this days and age – and rightly so at times – but Atsu’s efforts have been rightfully celebrated here.